A unique experience in Canadian cinema, Erik Anderson's newest feature to get a public screening is impressive for its liberty and vulnerability. Just like Rebeccah Love’s Acres from last year, My Thesis Film: A Thesis Film by Erik Anderson, with its uncharacteristic lengthy running time of nearly four hours, reorients the traditional length onto its own narrative terms. When the aesthetic norm for first time and second features is either an ascetic formalism or a social naturalism (usually due to film festival imperatives), Anderson's film impresses in its ability to successfully entertain and captivate, to make you think and laugh. And even though its duration is lengthy, it never feels long as through its character’s excitement and vulnerability it is able to capture a thoughtfulness, pleasure and doubt. And this is especially redeeming as the indie feature norm seems to be to oppress or to bore, that is if they are even properly made or dramatic. But thankfully My Thesis Film bypasses these shortcomings as it is surprisingly well acted, stylistically polished, entertaining and most importantly funny. My Thesis Film is about struggling to find your place – for Erik in Toronto, trying to complete his thesis film – but it does so with a lightness and a melancholy. Though the narrative is obviously fictionalized it still seems closer to a self-portrait for Anderson as, having known him over the years, I can attest that he has really put a lot of himself into his film, let alone that he stars in it and that he’s the one experiencing these re-enactments. My Thesis Film does a really good job at capturing a distinct experience of Toronto from the perspective of a grad student in film production, which in this case is at York University. It captures the bond between friends, interpersonal debate and conflict about representation in the arts, and feelings of insecurity experienced in these settings. It’s a quite distinct experience of the city, which isn’t always welcoming. But it does so with a humour that comes from an awkwardness in the addressing of these prickly topics that would make any fans of Seinfeld or Curb Your Enthusiasm both smile and cringe. There is its prologue Plato's Republic: Book 1 that sets the rhythm and tone to the film. It is a modern day adaptation of a discourse on justice from Plato’s Republic. Anderson, in the lead role, surprises in terms of his acting and his range of emotions. But what’s especially noteworthy is the film’s dialogues. Words pop, language is nuanced and thoughtful, and most conversations progress as if all of these characters have spent years in the debate club. The character types are all different and have these well-defined personalities that provides the richness of the mosaic of voices and perspectives of this milieu. And there’s a naturalness and articulateness to all of them, which provides a more realistic portrait of a certain young educated class in Toronto more so than the inarticulateness of so many other Canadian low budget features. And their wit and opposing views is also the source of the film’s humour. Following the Plato prologue, My Thesis Film progresses through three different chapters: Chapter 1. Erik arrives to Toronto from Montreal to start his MFA at York. There he starts to question his idea for his thesis film as he encounters overwhelming critiques in regards to gender parity and diversity. Throughout the year he spends a lot of time with his friends Fernando and Gary (played by Juan Arce and Franco Nguyen) while they start encountering other types that would be recognizable for anyone that has gone through a film studies degree: there is the brash young filmmaker who just got his first film into Slamdance, an esteemed Mexican filmmaker who is known for his 'slow' films, and the militant feminist and the spiritual hippie, among some others. The first year is a struggle for Erik and afterwards, as he didn’t receive any financial support, he's forced to return to his mother's in Victoria to spend the summer. Chapter 2. This is a sad summer for Erik as he starts to take on menial tasks to make a living – including, and even failing at, being a barista – and where, however well intentioned his mother, aunt and her husband try to be, they are actually not that encouraging. But Erik finally returns to Toronto, hopeful that it'll be a better year, but that is still to be determined. Chapter 3. After struggling with his Plato adaptation to take off, through a discussion with his best friend, he decides to incorporate his initial idea into a making-of of a making-of of his film. And there he finds success, well sort-of, at least he completes it before he has to go through a lengthy critique. With My Thesis Film and Calvin Thomas, Yonah and Lev Lewis’s Spice It Up, another new Toronto film that had a fraught production history, it appears that the new generation of local filmmakers, which have started making work around 2010, are starting to be more explicit about the challenges of creation and getting programmed in this city. This reflexive tendencies tends to be more funny than dour and recalls something like Luc Moullet’s Les Sièges de l'Alcazar meets the CBC. It’s very interesting and I highly recommend both of these films if you have a chance to see them. 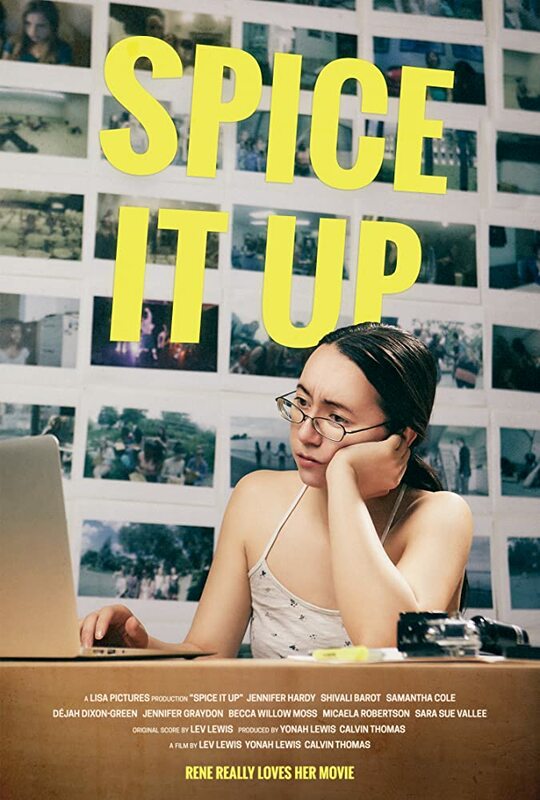 Spice It Up is about a young woman filmmaker who also arrives to Toronto from out of town to complete her thesis film and that also has some shades of ancient Greek philosophy, though for her she is studying at Ryerson. In it you can find the local film critic Adam Nayman (after his small role earlier on this year in Fail to Appear) as a film professor giving his students advice and feedback that sounds just like he does in person. Matt Johnson also has a surprising small role in it as a playful and lewd photographer. So with both My Thesis Film and Spice It Up a new landscape and geography of the city emerges and with that different characters and ways of being and talking. The freedom of these works, and especially of My Thesis Film, is that it elides conventional filmmaking trappings, and there's also a sense or urgency and necessity at play. Anderson talks about My Thesis Film as being thought out and conceived over a five year period and that it was made with the barest of crews (usually one or two people) and without any of the usual arts grants or funding. It's this necessity of creation, vulnerability of representation and the pulling off of the project that makes it so admirable. My Thesis Film is a great model for all struggling filmmakers. It will be a real shame if it does not get more then the only two screenings that it has received so far. There's a truism in Canadian cinema which is that it's surprising it even exists. Just look at some of its major figures like Don Shebib, Joyce Wieland or even Patricia Rozema and you'd see that sometime throughout their career, and with good reason, that they've lamented the sad state of production, distribution and even reception in this country. However much cultural prestige they've been conferred, I would posit that all Canadian filmmakers are 'orphans' of a national media industry that was never that interested in fostering a domestic film industry with the goals of cultural expression or regional specificity. Instead you keep hearing about the creation of 'global' oriented 'content', while screen incentives keep being directed towards runaway American productions. And if you've heard as many horror stories as I have from film production students about the difficulties they've encountered each step of their way to make their work and get it seen then you would understand how even just the completion of a project and then getting only one public projection could be seen as a success. With that in mind, I just want to signal a unique screening happening this week: I forget how many years exactly it has been in the making for - four years? or is it five, or is it even more? 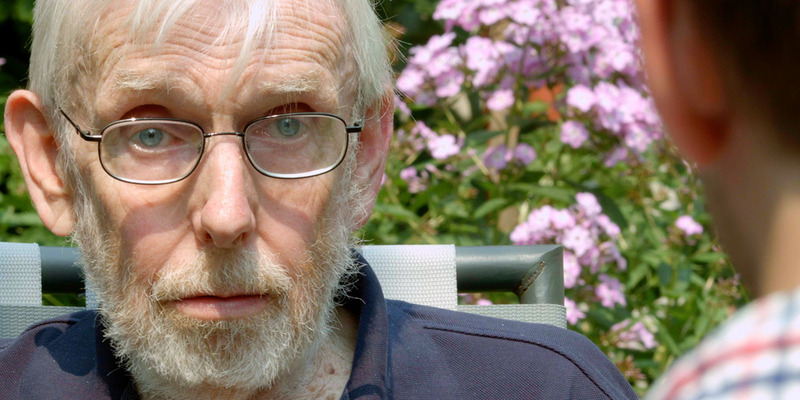 - and how many requests I regret not taking up with its director, but Erik Anderson's thesis film, My Thesis Film: A Thesis Film by Erik Anderson, is finally getting screened in Toronto: On Wednesday at 6:30PM at the Lightbox. I can only speak for myself to say this is a cause for celebration and that I'm really excited to see it. And it's another great sign of the uniqueness and perseverance of Toronto DIY filmmakers that so far this year they have already produced Fail to Appear, Mouthful, A Woman's Block, Spice it Up! and 22 Chaser (if I can indulge myself by including this gritty thriller). It's time for folks to start listening.